This article is concerned with the top best websites where people can join it in Free of cost and able to publish their unique content which can be seen throughout the world. Moreover you earn handsome money by writing Reviews Online. The list which i mentioned below it includes social networking sites, blogs, forums, and many more. Lets have a look! It connects advertisers with bloggers. It allows you to build links, increase/boost traffic, and improve search engine rankings on your website. It provides links to interesting content created by users and gives a quick access to check things out in Google Earth. It has 6 PageRank. It is an open community of passionate people like writers, explorers, knowledge seekers, conversation starters. HubPages are used for Sharing words, pictures and videos. Basically it is for interacting and informing. eHow is the one-stop online resource for life's challenges. In every field professionals come together to offer expert advice, backed by the additional support of a can-do eHow community. LinkWorth is one of the best web's largest and most innovative marketing portals that caters to both Advertisers and Partners. Seth Godin was the Original Squid, Founder and President of squidoo. It is an platform that gives users a simple way to organize their interests online and bring more human, curated, original content to the web. It was launched in beta form on July 31,2008. The Faces Behind InfoBarrel is Ryan McKenzie the Co-Founder and Marketing Directory. InfoBarrel is an community of writers who spend their precious time for creating the tremendous content geared towards helping readers and visitors either educate themselves or solve their problems. It is an wholly owned property of IZEA Holdings, Inc. It is a publicly traded company under the ticker IZEA. It connects advertisers with social media publishers, helping them to monetize their social media presence. It has an 6 PageRank. Kernal Trap is a web community devoted to sharing the latest news in kernel development. 80% of the revenue generated from these ads will be credited to your account. It is owned property of IZEA. Pay Per Post was founded in 2006. It creates innovative platforms like Sponsored Tweets, SocialSpark and Sponzai to help our customers realize their marketing objectives. Trend Hunter is the largest, most popular trend community. Its head office is based in Toronto, Canada, Trend Hunter looking for people to join their stellar Queen Street Toronto office. That people are relentlessly creative and includes everything from a digital projected scoreboard to a beer fridge and fireplace. It is the World’s most popular and largest Blogging platform provided by Google. It has 5 PageRank. In Free Range Stock, the photographers submitting photos and participate in their revenue sharing system. 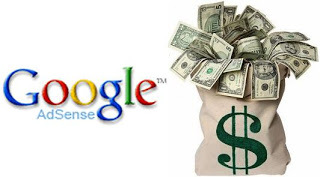 This is implemented through Google AdSense, and will allow you to keep 80%. This is a company of Denmark that gives bloggers an innovative path to monetize their blogs/website and service. It is a website where bloggers can write a review of anything and earn money easily.